Patterned suits are experiencing a big revival. Inspired by Italian sprezzatura icons and British royalty these kind of patterns are becoming suitable not only for semi formal occasions but even for business attire. Although stripes were common men’s choice for decades, checked patterns have become must have, not only for fall and winter traditional fabrics but for year-long outfits. Among so many patterns I am sure you will find one that will suit you best. Some are more traditional and some are more flamboyant. You can wear them with a white shirt and solid tie or you can be more aggressive and combine them with more patterns. You just have to know how to mix them together. In the end it all depends on your personal style but you just have to give them a try. This article will teach you which pattern is which and how you can combine them. Let’s start with the most traditional pattern. The stripes. Common business suit pattern. I do not like it and do not need to wear it since I am 6.3 tall. Common knowledge is that stripes suits are preferred by shorter men since it adds the illusion of height because of vertical line alignment in the stripes. No one states that you have to wear it if you are on the shorter side or that you don’t if you are taller. If you like it wear it, if you don’t, don’t wear it. Simple as that. There are several versions of striped patterns and they differ by the width of stripes. 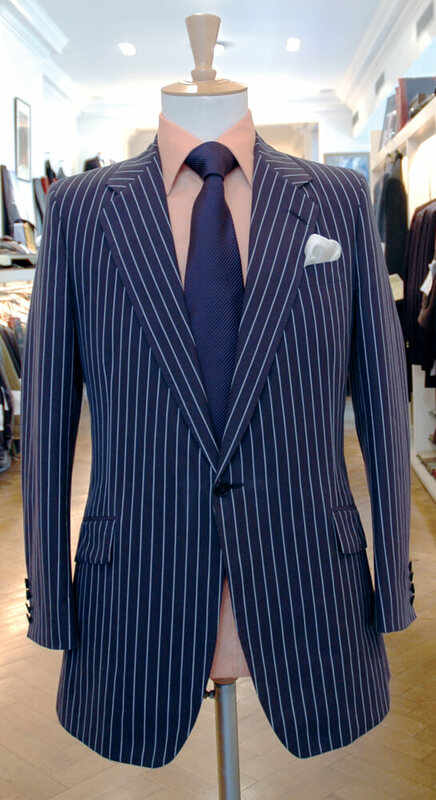 The most common striped pattern is pinstripe, which became popular in the crazy 20’s of the last century. At that time pinstripes were not considered respectable, but quite the opposite, they were considered flashy. Made out of pin sized dots out of silk yarn or cotton, which are then woven into worsted cloth to form a stripe. Chalk stripe has bit wider stripes and usually woven onto flannel. Another stripe pattern is rope stripe more often seen on worsted wool. It has a gentle weave which creates subtle spiral effect. Also broader than pinstripe pattern and from a distance very hard to distinguish from chalk pattern. 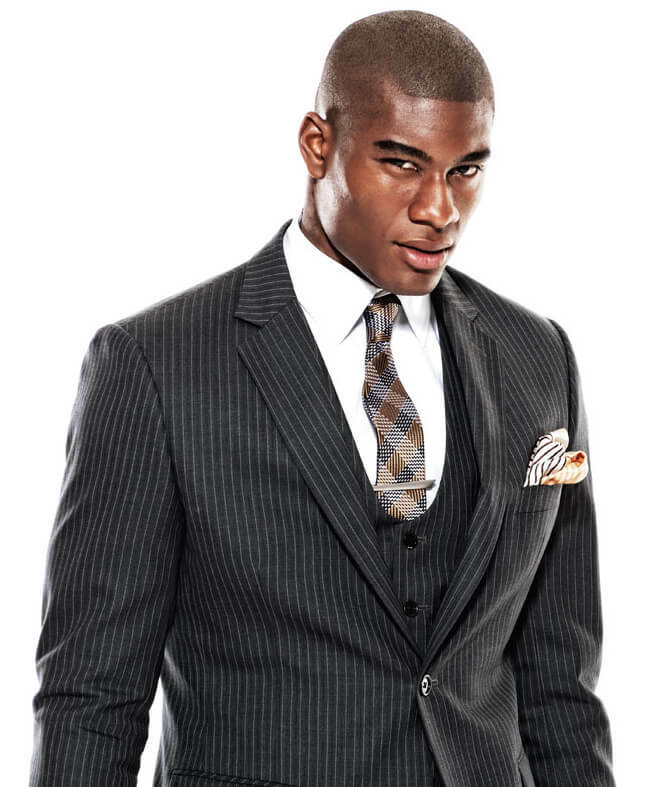 Today although considered a perfect pattern for business suits, stripes are becoming dandyish and declarative. Stripes are returning to their roots and are ideal material for you to express your personality and style in formal business attire. Combine them with another different patter but try so match their size. If you combine them with another striped pattern then the density of the stripes has to be clearly different, although I would not recommend to mix more than two striped patterns. For example, suit and tie. You can wear a pinstripe suit and tie with broad bold stripes. Try not to wear striped shirt and striped suit. It will not look good. Commonly know as Glen check, this kind of pattern is most used pattern in men’s suits. Originally called Glen Urquhart plaid. The name is taken from the Scottish valley of Glenurquhart in Inverness-shire. Firstly used in the 19th century by the countess of Seafield. The name glen plaid did not appear till 1926, and later it was populated by Duke of Windsor when he was Prince of Wales. Today Prince of Wales is the most common name for Glen plaid. It is most iconic pattern and the first you should invest in. 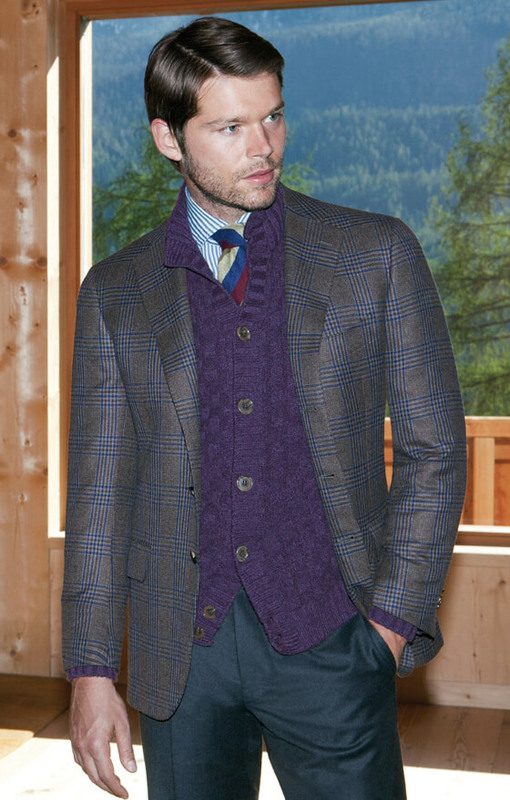 Glen plaid is woolen fabric with a woven twill design consisting of small and large checks. Most usual color combinations are black and white although it can be used in other color combinations, usually muted ones, but it is almost always made out of darker and lighter fabrics. Glen plaid jackets are commonly associated with the weekend and country attire, mostly in sports jackets by the English noblemen. This kind of pattern is suitable for semi-formal occasions, although it can be seen in business suits but with very slight contrast in the check colors. You can pair it with dark jeans and colorful sweater. If the pattern is in traditional black and white combination, avoid wearing white and black shirt. Add some color to it. My favorite suit pattern. Very flamboyant and perfect for your sprezzatura look. It requires some confidence, because lots of staring eyes will follow you as you walk down the street. Especially if you pair your jacket with the same matching suit pants. Windowpane pattern is very trendy lately, since Tom Ford brought back this pattern in his 2009 campaign. Just like Glen plaid, windowpane pattern was mostly used in sport and casual jackets. Since its comeback windowpane pattern can be seen in business formal outfits which gives the person wearing it a touch of flamboyant style. If you don’t feel comfortable to wear a complete suit in windowpane pattern, start with a jacket which can be combined with flannel trousers or some other trouser material. For casual look you can pair them with dark jeans and solid shirt. Large windowpane checks are great for mixing it up with another check patters because this pattern is large. You can pair it with a small gingham pattern in your shirt, or small checks in your pocket square. This pattern originated in Scotland in the 1800’s, originally worn by Scottish shepherds. History tells us that the Houndstooth pattern played important role in Scottish past. Every clan in Scotland has their own tartan pattern. Wearing someone else’s tartan without permission was more than a good cause for a brawl so to avoid getting themselves in such situations may Scots began wearing Houndstooth pattern which did not belong to any clan. 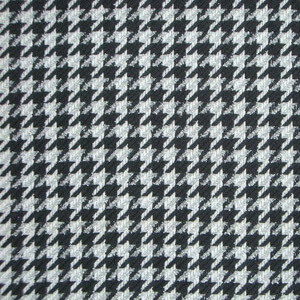 Houndstooth pattern is made out of wool and tweed fabrics. Characterized by its abstract black and white pattern. Commonly used for coats and jackets but very common in women’s dresses and skirts. During the 30’s of the last century Houndstooth pattern was adopted by the upper classes as a symbol of wealth. Today this pattern is used in sport jackets and coats for casual occasions. Pair it with striped shirt and solid tie. Small arrow shaped pattern most often found in heavy winter fabrics like tweed. The name comes from the distinctive zigzag pattern that resembles herring bone. This kind of pattern is appropriate for most occasions. Not considered flashy and trendy but if you prefer tweed and offbeat style herringbone might be good choice for you. The smaller tighter pattern is more suitable for formal occasions and if it is woven tightly enough, you will have a hard time picking it out from solid patterns. As mentioned it is a great choice for colder climates. You can match it with almost all types of shoes and ties. 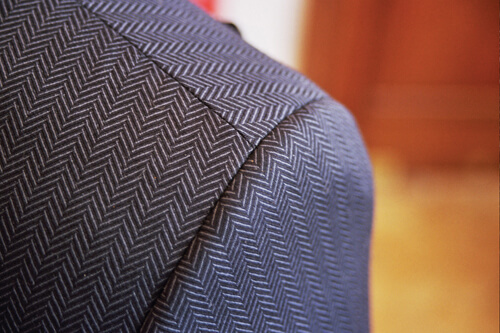 Of course you should avoid another herringbone pattern in your outfit. One is more than enough. Checked plaid is America’s favorite suiting pattern since 1870’s when it was a standard jacket pattern in sport-shooting clubs. 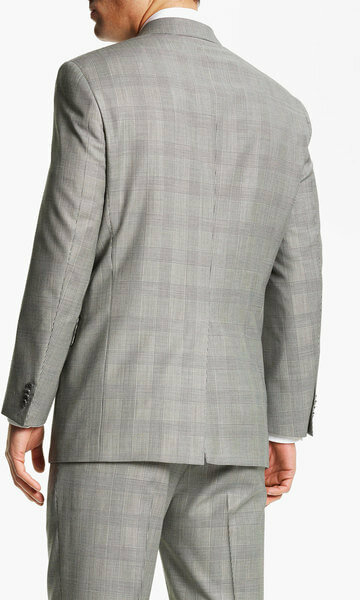 Think of it as suit version of gingham check since its checks are almost the same size as in gingham pattern. 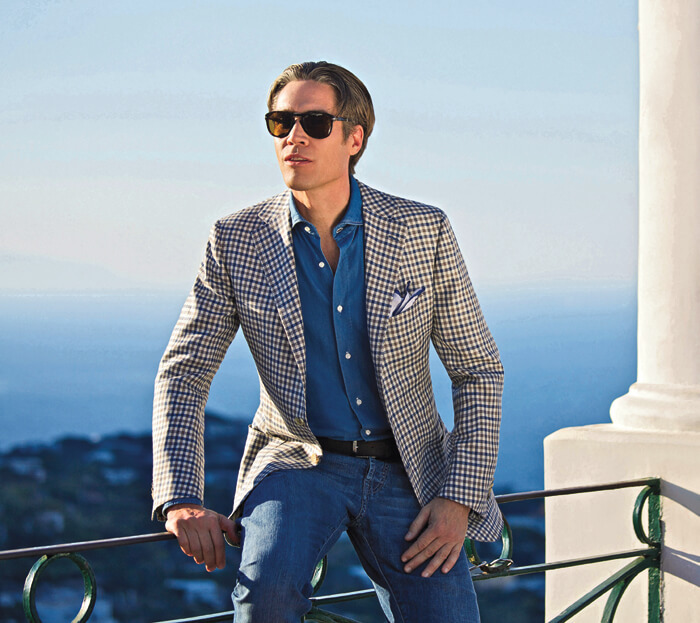 You can pair it with checked shirt but the one with larger checks, like in the windowpane, tartan or madras patterns. Blanket plaid is a term for any large frame woollen plaid. Large scale plaids require some confidence to wear them. As you can see the choices for your patterned suit are numerous. Start with the traditional stripped patterns and Glen plaid. Then when you are comfortable wearing patterns you can start experimenting. 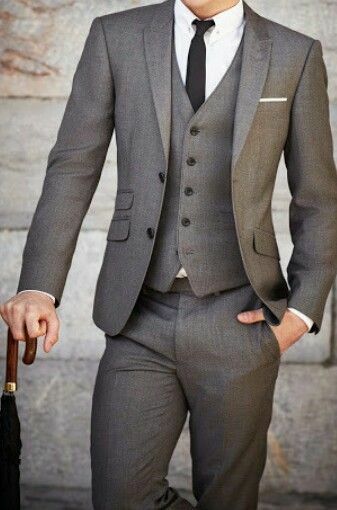 Be brave, be confident, but always take care about the fit of the suit. The right fit is the first step to confident style. Male Rompers - The new fad of 2017. Is it for the modern gentleman? 2 Comments on "Men’s Suit Patterns"
They have stood the test of time for a reason. That’s why they are still stylish.